CHARLOTTESVILLE, VA July 26, 2011 GE Intelligent Platforms today announced an expansion of the company’s range of COTS Rugged Systems. With growing pressure on prime contractors and integrators to reduce risk, costs and time-to-market, these preconfigured and pre-tested systems provide the flexibility of in-house development with the proven availability, cost-effectiveness, reliability and roadmap of commercial off-the-shelf (COTS) solutions. They are designed for deployment in demanding control appli­cations such as civilian and military UAVs, manned com­mercial and military aircraft, helicopters, over- and underwater research vessels, ground vehicles, and locomotives. GE now offers an extensive range of pre-validated, application-ready COTS Rugged Systems, having previously announced 2-slot and 3-slot rugged CompactPCI® systems featuring Intel® processor technology and 2-slot and 3-slot PowerPC™-based rugged CompactPCI systems. Further introductions are planned throughout the year. The newly-announced 4-slot systems, which give greater configuration flexibility to the COTS Rugged Systems product line, utilize conduction-cooled boards and are housed in a rugged convection-cooled chassis. The systems are available with processors from either Intel or Freescale™. Optimum customer choice is provided through the availability of no fewer than 25 standard configurations; additional configurations can be readily made available according to customer requirements. These systems undergo standard qualification tests - such as MIL-STD-810 and 704 - to allow customer projects to more rapidly achieve a high Technology Readiness Level (TRL). 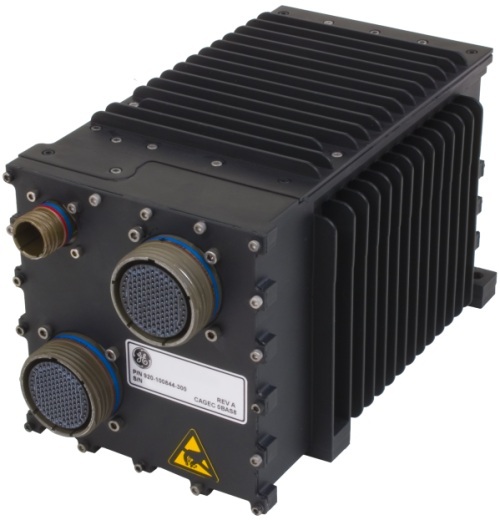 GE’s COTS Rugged Systems have been integrated and tested, and a Board Support Packages (BSP) and drivers can be provided to ease application integration and reduce software development time. A broad range of I/O capability can be configured, including Ethernet, USB, serial, MIL-STD-1553, ARINC 429, DAC, ADC, discrete, VGA and CANbus. A 64GByte SSD SATA storage device is also optionally available.